The Evergreen Phase 4 by the Monarch Group is a new townhouse development located on the corner of Saint Claire Avenue East and Jeanette Street in Toronto. This particular new townhouse is estimated for completion in 2014 and upon its closing it will be composed of a total of 200 units that will vary in size ranging from 1,795 square feet in an upwards of 2,202 square feet. Available units for sale start at $474,990. The Evergreen Phase 4 is an exclusive enclave of environmentally friendly townhomes settled into the Midland and Saint Claire Neighbourhood. These extravagant townhomes are encircled by a bounty of green space such as the Thompson Memorial Park and the Scarborough Bluffs blessed with cliffs, hiking trails, and parks that stretches to the shores of Lake Ontario. What’s more, the Evergreen Phase 4 is also virtually minutes away from some of Scarborough’s most desirable establishments like the Centennial College, the Toronto Zoo, the Bluffs Gallery, Theatre Scarborough, Scarborough Golf and Country Club, and the Scarborough Town Centre. Plus, residents will find the TTC, the GO Train, various modes of public transit, several bus routes, and many major highways close at hand. 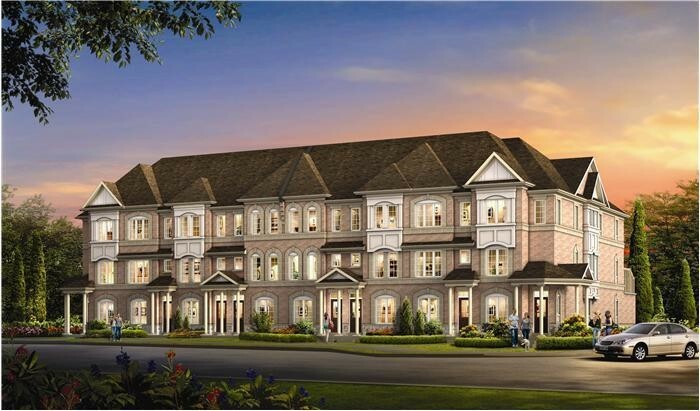 These magnificent new homes will consist of townhomes, semis, and singles designed with high quality, colour coordinated materials that make each home stand out among the rest. Even more so, these homes will be resting on top of oversized lots that will have fully sodded side and front yards. The plush green lots will set center stage to many lavish features such as mature trees, foundation plantings, shrubbery, and stone walkways that lead from the driveway to the welcoming front porch. Sales for the Evergreen Phase 4 Townhomes have already been set in motion. For more information, please visit the presentation centre located at 70 Town Centre Court in Toronto. The presentation centre is open Monday-Thursday from 1:00-8:00 p.m., Friday from 12:00-5:00 p.m., and Saturday and Sunday from 11:00 a.m-6:00 p.m.